Human friends have a glaring disadvantage: They’re not always available. While social media has made them seemingly more available, and made us all more social, it has also paradoxically made us lonelier. People don’t care that they’re chatting with a machine. 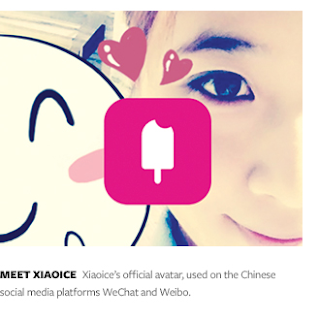 Many see Xiaoice as a partner and friend, and are willing to confide in her just as they do with their human friends. Xiaoice is teaching us what makes a relationship feel human, and hinting at a new goal for artificial intelligence: not just analyzing databases and driving cars, but making people happier. Xiaoice can exchange views on any topic. If it’s something she doesn’t know much about, she will try to cover it up. If that doesn’t work, she might become embarrassed or even angry, just like a human would.In fact, she is so human that millions of people are eager to talk to her. When Xiaoice was released for a public test on WeChat (a popular messaging and calling app in China) on May 29 of last year, she received 1.5 million chat group invitations in the first 72 hours. Many people said that they didn’t realize she isn’t a human until 10 minutes into their conversation.